rundown of college convenience is sufficiently amazing to fulfill even the most observing undergrad. Emerge highlights incorporate vaulted eating lobbies, a glass-fronted eatery and a craftsmanship display lodging widely acclaimed accumulations. 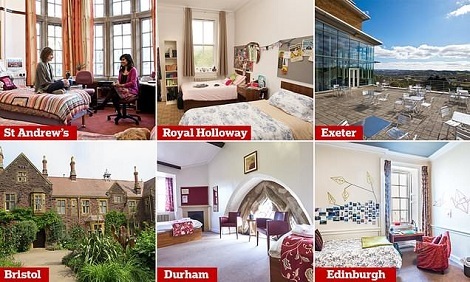 The eight-strong selection was published today by Tatler magazine, who scoured England and Scotland for the 'smartest' student accommodation. 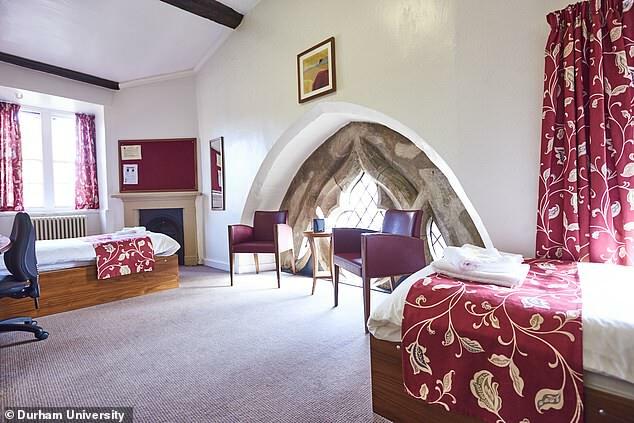 As the former home of the Duke and Duchess of Cambridge, it is perhaps of little surprise St Andrews University's St Salvator's Hall makes Tatler's list. The hall, built in 1930, is where the royal couple met as first-year students in 2001. Next on the list is University College, Durham, which is informally known as Castle thanks to its location in an actual Norman Fortress. Some 850 have the privilege of living in this UNESCO World Heritage Site. Formal dinners are hosted in the castle's breathtaking medieval banqueting hall. 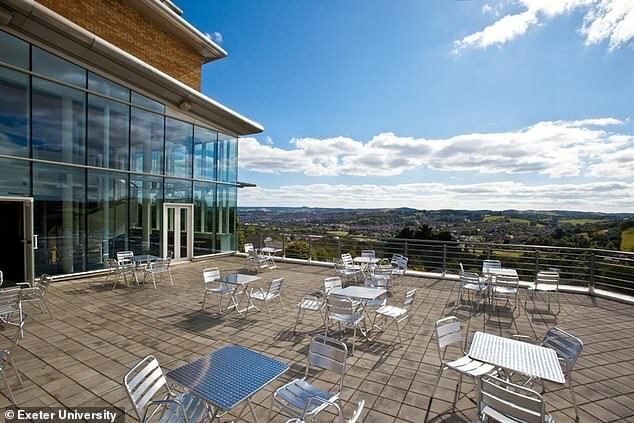 With modern en-suite, a sun terrace and views of Exe valley, it is easy to see why Holland Hall is top of the list for many students applying to Exeter University. Some 400 students stay at the residence each year, enjoying the benefit of meals in a glass-fronted restaurant. The impressive Founder's Building is steeped in history having been opened by Queen Victoria in 1886. 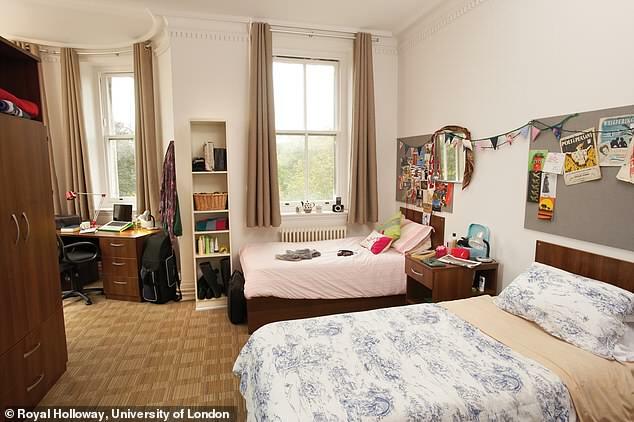 It is now home to 500 students, who live in a mixture of single and shared bedrooms. There is also a dining hall, cafe, chapel and picture gallery on site. The historic Mylne's Court, in the heart of the Royal Mile, consists of three halls, Patrick Geddes, Philip Henman and Edward Salvesen. 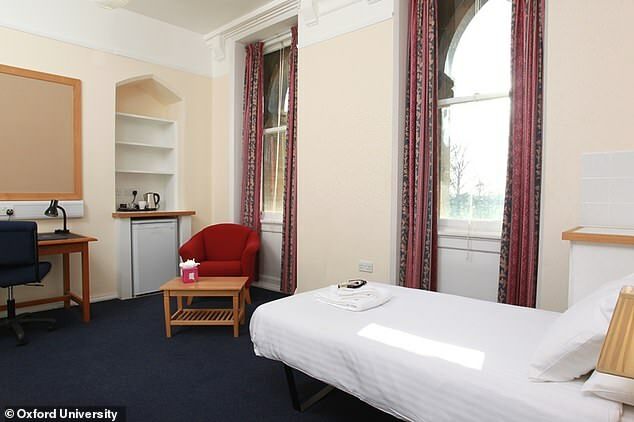 It is situated in a bustling and lively location, popular with tourist hotspots and street performances in the heart of historic Edinburgh. 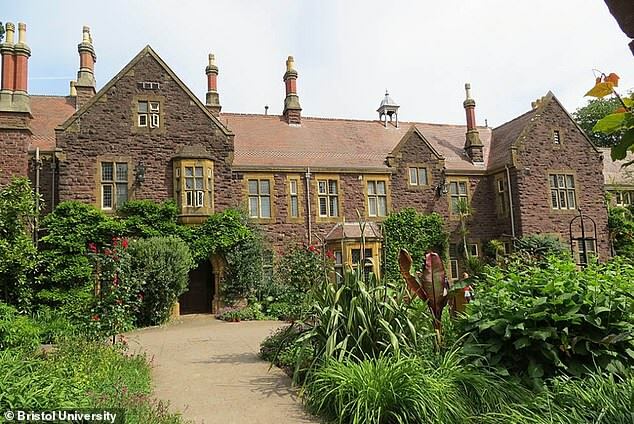 The sprawling hall is home to some 2,000 students and has previously been voted the university's 'poshest'. The catered hall is located in the North Residential Village, on the opposite side of the Clifton Downs from the majority of university buildings. Uniquely among Oxford colleges, Christ Church has an important collection of Old Master paintings and drawings, housed in the purpose-built Picture Gallery. It is also home to Oxford’s Cathedral, which has its own world-famous choir. If that isn't impressive enough, its Great Hall was the inspiration behind the one featured in Harry Potter's Hogwarts. With its breathtaking architecture and tranquil gardens set on the banks of the River Cam, St John’s College stands out even among the high standards of Cambridge. The 500 rooms on the main site are split between a number of buildings. 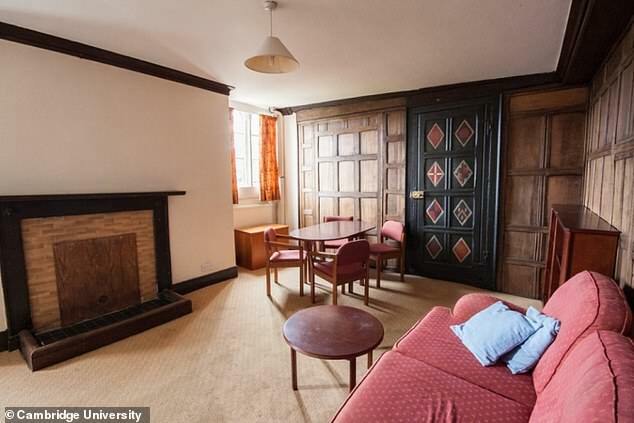 Lucky students might find themselves living somewhere previously occupied by one of our famous alumni, such as William Wordsworth, Douglas Adams or Paul Dirac. 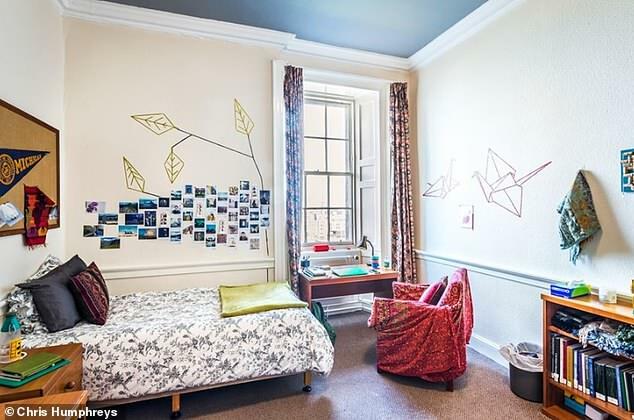 The college's own website boasts that its 'rooms, food and facilities are reckoned to be some of the best in Cambridge'.